Real-World commercial projects presented in full color feature the work of renowned artists, Chris and Trish Meyer, Jayse Hansen, Mark Coleran, Ken Locsmandi and others. The tutorials are commercial projects that the artists created for a client budget of $10,000 or less, using only the plug-ins that come with the software. Special focus is given to the fundamental techniques that are important to novice motion graphic artists. 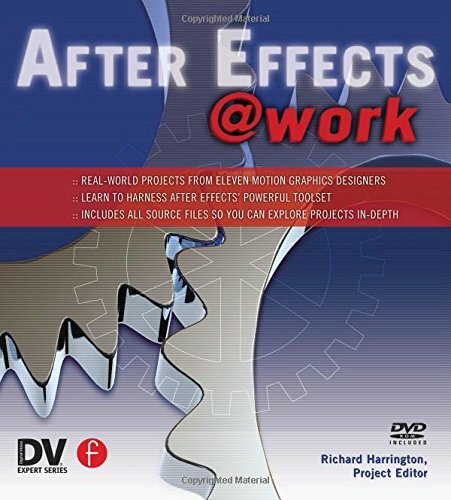 The companion DVD contains the source files required for the reader to replicate the techniques as well as Apple QuickTime presentations of the final projects. The projects cover a wide range of practical applications including broadcast animation, big-screen film trailers, music video compositing, trade show presentations, DVD menu graphics, and cel animation with Flash. If you have any questions about this product by Brand: Focal Press, contact us by completing and submitting the form below. If you are looking for a specif part number, please include it with your message.